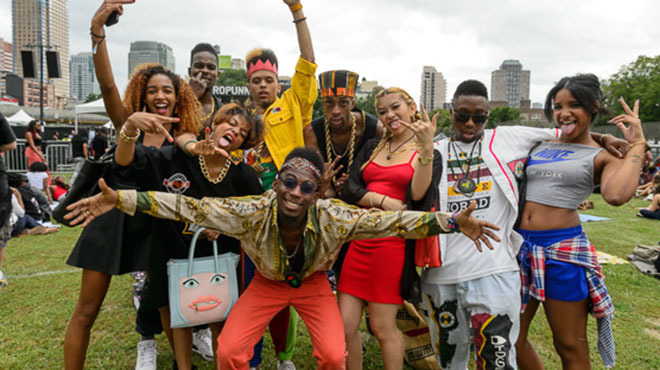 Building a tribe of like minded individuals who possess the same goals and aspirations in life can be easy, if you take a strategic approach to it. A strategy of empowerment, building, collaborating and creating. 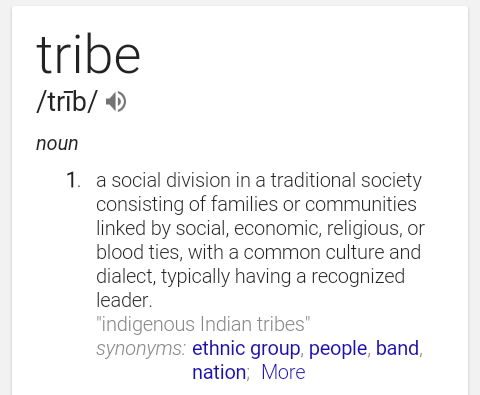 But first, let’s break down the term, “Tribe” to a simpler definition. When forming a tribe you want to involve people who think like you, have the same things in common as you, want to accomplish great things aside you and don’t carry drama and envy within them. They want to eat and see you eat too. I always desired to be near and surrounded by artists. The vibe you can draw from an artist is unexplainable. They feel things on a deeper level than most and I have forever had an attraction to that. When people visit my social media accounts most of the time (even offline) I surround myself with artistic people and the arts. I feel most alive around them. And when building a tribe of your own, you have to be among those who brings life to you, people who draw inspiration from you and vice versa. Imagine a group of five friends with a common interest in Fashion. A photographer, a designer, a model, a stylist and a Publicist. And while they all take that common interest in fashion, they all have different positions, different jobs to help achieve the same goal. The photographer takes the pictures of the model who models the clothes. Clothes designed by the designer, who had help styling the outfit for the photoshoot with the stylist. And then the publicist helps bring awareness to the model, the designer, the stylist and the photographer. “All for one, one for all” type of vibe. When building a tribe, try to start off small. Surprisingly, a lot can be done with a small group of like minded people. Too many people can cause confusion and too many egos at bay, can cause unnecessary drama. When it starts off small, it gives everyone an equal amount of power and responsibility. No worrying about hurting feelings or stepping on toes. Next, you would want to make certain that there is a common goal, a common mindset. When a common ground between you and your fellow tribe members is laid out, everyone will have the same end game in mind. For instance, Jordan, Rodman, and Pippen all had their own egos when it came down to their respective skills on the basketball court. Whether one thought they were better than the others wasn’t a component of their main thought. It was to win the championship. Have a clear intention on what it is you want to get done within your clan. With a clear purpose in mind and shared with the others, again, the end game will be the same among the group. Be productive. Everyone has to pull their own weight. This is entirely about bringing something to the table. Whatever it is you are good at, attribute that to your circle, and empower the others to do the same. Ultimately, two or more heads are better than one. And lastly, people follows people who make them feel like something. It is essential to make your tribe feel important, because they are. They need people who stir up emotions within them, inspiration and creativity, for example. Inspired people can achieve so much when they feel that their efforts are appreciated. We all look for people who think like us. People we can vibe with, people who can add onto our dreams and help make them a reality. And for the most part, we just click with them, like soul mates. With all great things, you need a passionate vision and a solid foundation, but like most things it isn’t built all in one day. I love this post! That’s what I hope to find while in London. A group of international folks that are just as weird as me.